After childhood plans to become the captain of a starship didn’t pan out, Suzanne Brockmann took her fascination with military history, her respect for the men and women who serve, her reverence for diversity, and her love of storytelling and explored brave new worlds as a New York Times bestselling romance author. Over the past twenty years, she has written more than fifty novels, including her award-winning Troubleshooters series about Navy SEAL heroes and the women—and sometimes men—who win their hearts. In addition to writing books, Suzanne Brockmann has co-produced a feature-length movie, the award-winning romantic comedy The Perfect Wedding, which she co-wrote with her husband, Ed Gaffney, and their son, Jason. She has also co-written a YA novel, set in the world of her paranormal Fighting Destiny series, with her daughter, Melanie. Find Suzanne Brockmann on Facebook, follow her on Twitter, and visit her website to find out more about upcoming releases and appearances. "Thanks to Suzanne Brockmann's glorious pen, we all get to revel in heartstopping adventure and blistering romance." "A smart, thrilling keeper . . . This is one to recommend heartily to friends. . . . 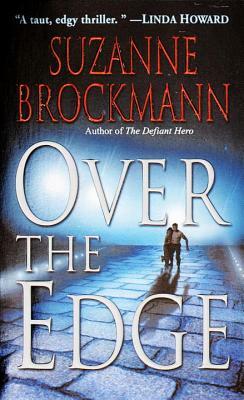 While heating tension and passion to the boiling point, Brockmann firmly squashes the cliche of military men with hearts of stone and imbues her SEALs with honest emotional courage." "[Brockmann] takes a quantum leap forward with a novel that is richly textured, tenderly touching and utterly exciting. This is one book you will be unable to put down or forget!" "Count on Ms. Brockmann to deliver a thoughtful and tightly woven plot with plenty of action."